Word on the street is that Jack Lew is going to be appointed the Sec. of Treasury. What’s that matter for a blog about art, design, technology and other chicago hot dog randomness? 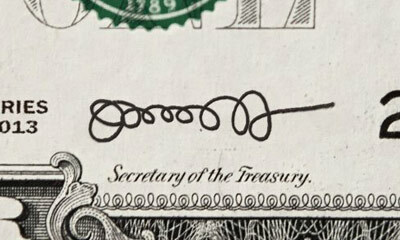 Lew’s signature. It is simply pure awesomeness. That’s for real? When I first saw this, I thought you photoshopped it. I’d love to scan that in super hi-res, blow it up, and then cut out the black lines into a larger shape. And then I would leave that shape around in various places.